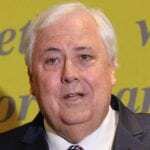 Clive Palmer suspects PPB Advisory is selling in haste and under value. If Prince Harry and his fiance must endure old man Markle crashing their wedding then why should the highest profile pairing in Australia’s insolvency sector be exempt from intervention? The answer is that it even if it should be it isn’t, as evidenced by the confetti of subpoenas and affidavits filed in the Supreme Court of Queensland this week by lawyers representing one Clive Frederick Palmer, who is definitely not going to forever hold his peace as PwC and PPB Advisory (PPBA) try to waltz down the aisle towards a takeover scheduled for consummation on July 1, 2018. Palmer suspects PPBA is selling in haste and under value and is seeking – as befits an uninvited objector with a wallet the size of a Northern Territory cattle station – access to the PwC/PPBA pre-nup. He intends to obtain it via an application for freezing orders against PPBA co-founder Steve Parbery and partner Michael Owen, the Commonwealth-backed special purpose liquidators of Queensland Nickel intent on prising up to $500 million from Palmer including almost $66 million for entitlements paid to employees at the Yabulu Nickel Refinery in Townsville through the Fair Entitlements Guarantee Scheme (FEG) after the company was placed into liquidation in April 2016. The orders would require Parbery and Owen to provide a copy of the proposed sale contract and a detailed account of PPBA’s assets worldwide, as well as the extent of their interest in said assets if any. They would also require the SPLs to provide Palmer with details of their employment including their pay; what the PwC takeover will mean for their financial circumstances including whether they’ll acquire equity in PwC; details around when PwC approached PPBA, the rationale and impetus for the sale; and the proposed settlement date. The application comes after the billionaire last month launched a bid to have the SPLs removed, alleging that they had been complicit with QN’s general purpose liquidators (GPLs) in causing $2 billion in losses to the refinery’s joint venture operators –QNI Resources Pty Ltd and QNI Metals Pty Ltd – after the GPLs closed Yabulu in 2016. Palmer’s principal beef is with John Park, who leads the team of FTI Consulting partners originally appointed by Palmer as voluntary administrators (VAs) of QN back in January 2016. 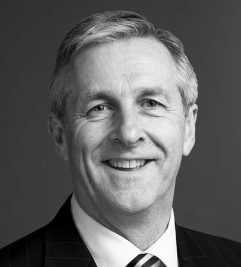 But the news that PPBA was selling to PwC – published exclusively by this website two weeks before the $1.8 billion counterclaim and removal bid was launched on April 12 – appears to have convinced Palmer that the SPLs and Parbery in particular are trying to insulate themselves from his claim by selling to PwC. As we recently forecast in Threat To Block PwC/PPB Takeover Overlooks Obvious Parbery and Owen can’t go to PwC while appointed SPLs of QN because PwC is acting for Palmer in regards to the production of solvency reports so Parbery and Owen would have to resign the appointment. Our mail is that Parbery isn’t going anywhere and Owen declined to comment yesterday when asked if he was one of the 25 PPBA partners offered a partnership by PwC. If he does go he’ll follow Marcus Ayres, who resigned as SPL of QN when he left PPBA to join EY, which incidentally audits the accounts of QNI Resources Pty Ltd and QNI Metals Pty Ltd.
Palmer’s application though isn’t stopping at the SPLs. The mooted takeover is a golden opportunity for the cashed-up magnate to indulge his self-professed passion for litigation and potentially place PPBA under real pressure if the orders are granted. To that end he’s also asked the court to issue subpoenas to such luminaries as Jobs and Innovation Minister Michaelia Cash; Henry Carr, Cash’s FEG recoveries supremo who’s been funding the SPLs, HWL Ebsworth Brisbane partner Wayne Jenvey, Ben Swan of the Australian Workers Union and FTI Consulting’s John Park, Kelly-Anne Trenfield, and Quentin Olde as well as ex-FTI Consulting partner Stefan Dopking, who was a GPLs of QN before his defection to BRI Ferrier in September 2017. The man Palmer’s charged with preparing an expert report on the question of whether PPBA is selling under value and in haste is none other than Artemis Insolvency principal Peter Dinoris, who has been tasked with, among other things, assessing the “Terms of the proposed sale, as it pertains to Mr Parbery and Mr Owen (eg, is Mr Parbery receiving some different kind of consideration; is Mr Owen a ‘partner’ and becoming a ‘partner’ of PWC)”. The application is certain to be strenuously resisted – Minister Cash probably won’t want to be cross-examined by Palmer in open court – and it’s worth noting that Palmer’s record against the SPLs currently stands at 22 losses, no wins. On all those occasions Palmer or related entities have been ordered to pay the SPL’s costs of defending actions brought against them. On four of those occasions the SPLs have won indemnity costs and Palmer has already paid out almost $400,000 with another order for $61,394.70 recently assessed. The SPLs by comparison have yet to be ordered to pay Palmer’s costs of action once. Nevertheless Palmer is flush with millions following his Citic win late last year and seems eager to deploy his iron ore wealth savaging those in the way of him making a quid from nickel. Intervening in PPBA’s marriage to PwC might seem an odd path to take to retrieving the keys to the refinery but as every wedding crasher knows, the bride and the groom will agree to almost anything to be rid of you. Be the first to comment on "Palmer ups ante in PwC/PPB Advisory intervention"